Dr. Albanes is a Senior Investigator in the Division of Cancer Epidemiology and Genetics in the U.S. National Cancer Institute (NCI). He received a B.S. in biology from the State University of New York at Stony Brook and his M.D. degree from the Medical College of Wisconsin. Dr. Albanes entered the Epidemic Intelligence Service of the Centers for Disease Control through which he joined the cancer prevention program of the NCI. Dr. Albanes conducts population-based, epidemiologic research including observational studies and controlled trials to examine the role of nutritional, biochemical/molecular, and other factors in the etiology of cancer. His investigations focus on micronutrients (particularly vitamins D, E, and A, carotenoids, and folacins), energy balance (including anthropometry, insulin, and growth factors), molecular biomarkers, genetic variants, and prostate cancer. Dr. Albanes was an early proponent of the critical role played by energy balance in the development of cancer, and he conducted several observational studies of anthropometry (e.g., BMI and height) and physical activity, as well as experimental studies of caloric restriction. He is a Principal Investigator of the landmark Alpha-Tocopherol Beta-Carotene Cancer Prevention (ATBC) Study that found no beneficial effects (and promotion of lung cancer) in response to supplemental β-carotene among 29,000 male smokers, and a prostate cancer preventive effect of vitamin E (α-tocopherol). 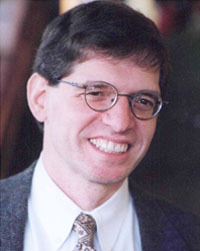 Dr. Albanes also contributes to several large consortium projects of nutritional factors, candidate genes/pathways, and genome-wide association studies (GWAS) including the NCI Breast and Prostate Cancer Cohort Consortium (BPC3), the Pooling Project of Prospective Studies of Diet and Cancer, the Vitamin D Pooling Project (VDPP), and the Cancer Genetic Markers of Susceptibility (CGEMS) study. His nutrigenomics work examines genetic modulation of response to vitamin supplementation and GWAS of circulating nutrients. 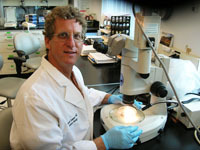 Dr. Albanes has published more than 360 peer-reviewed research articles and over a dozen solicited editorials, reviews, and book chapters, and has received several research awards from the NIH Office of Dietary Supplements for studies of vitamin status, supplementation, and mechanisms in relation to cancer risk. Dr. Anant is a pioneering biologist with a national reputation in gastrointestinal cancer research. His research spans a wide range of activities from understanding molecular biology questions to determining the mechanisms of action for certain natural products and their role in cancer prevention. Prior to joining The University of Kansas Cancer Center, Dr. Anant led a team of researchers who discovered a new gene, RBM3, which can cause normal cells to turn into cancer cells; also, stopping its expression in cancer cells causes the cancer cells to die. Earlier, while on the faculty at Washington University in St. Louis, he discovered the first tumor-suppressing RNA-binding protein. Dr. Anant received a Master of Science degree from the University of Madras, India, in medical microbiology in 1984 and a Master of Science degree from Michigan State University in microbiology in 1986. He obtained his PhD in molecular genetics from the University of Illinois at Chicago in 1993. At the University of Oklahoma Cancer Institute, Dr. Anant led the gastrointestinal cancers program. A professor of cell biology, medicine/gastroenterology and nutrition, he was also director of gastroenterology research at the University of Oklahoma Health Sciences Center. A frequent lecturer and visiting professor, he is on the editorial boards of Gastroenterology, American Journal of Physiology-GI and Liver, and International Journal of Cancer. 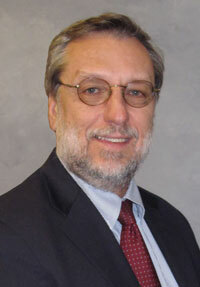 He is the current chair of the NCCAM Basic Sciences Special Emphasis Panel. 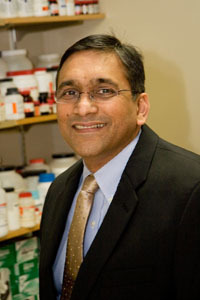 Dr. Anant became associate director of Cancer Prevention at the University of Kansas Cancer Center in 2010. He also serves as associate dean for research for The University of Kansas Medical Center and as the Kansas Mason Professor of Cancer Research for the Department of Molecular and Integrative Physiology, and the Department of Internal Medicine Gastroenterology at The University of Kansas School of Medicine. As the AICR Nutrition Communications Manager Alice translates nutrition science into practical advice for consumers and health professionals. She develops and promotes AICR's Health Professionals and Educators program and is working to reach more providers practicing outside traditional cancer related settings so that AICR¹s prevention message is more widely integrated into everyday health care practices. She also produces and reviews nutrition information in brochures, on the website and in other publications as well as offering interviews and information to members of the press. Alice worked in University settings for almost 20 years offering clinical services and outreach, education and health promotion programs. She designed and taught a Peer Nutrition Education Course, training dietetics students to provide educational programs on campus. She joined AICR in 2009. She has been active in professional organizations, holding local and state offices, including serving as President of the Georgia Dietetic Association. Alice earned a Master's Degree in Nutrition and Public Health from Columbia University Teachers College. She is a member of the American Dietetic Association, the Oncology Dietetics Practice Group and the District of Columbia Metropolitan Area Dietetic Association. Her scientific publications number close to 250. Her current research interests include dietary, anthropometric behavioral, genetic and medical risk factors for cancer and cancer survival with a special focus on breast cancer. She is also involved in the study of dietary measurement and assessment, dietary intervention methods, and alternative treatments for hot flashes. She is the Principal Investigator (PI) of the LACE study (Life after Cancer Epidemiology) a cohort of breast cancer survivors examining effects of behavioral and lifestyle factors on breast cancer outcomes and is a co-principal investigator in The ABC( After Breast Cancer) pooling project, a consortium of 4 breast cancer survivor cohorts which was established to examine the role of physical activity, adiposity, dietary factors, supplement use, and quality of life (QOL) in breast cancer prognosis. She is also PI of one of the clinical centers of the Women's Health Initiative and Co-PI of one of the clinical sites for the Ms Flash Trials, a coordinated network of clinical sites examining alternative treatments for menopausal hot flashes. The majority of her additional funding is from grants and contracts from the National Cancer Institute to test dietary interventions or determine lifestyle changes that may be helpful in the prevention or recurrence of cancer. Dr. Chapkin is a member of the Program in Integrative Nutrition & Complex Diseases, Center for Environmental & Rural Health at Texas A&M University. He received his BS in Nutrition and Biochemistry from the University of Guelph, Ontario, Canada; an MS in Nutrition from the University of Guelph, 1983, and a PhD in Nutrition and Physiology Chemistry from the University of California-Davis in 1986. After completing a postdoctoral fellowship in Cancer Biology in the School of Medicine at the University of California-Davis in 1988, he joined the faculty at Texas A&M University. Dr. Chapkin is currently a Regents Professor and University Faculty Fellow and during the past 25 years has published over 180 peer-reviewed articles in nutrition, cancer biology and immunology. Dr. Chapkin is an expert in dietary chemoprevention of colon cancer and inflammatory bowel diseases. 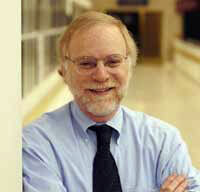 He has made highly significant contributions to cancer chemoprevention in four specific areas: (i) establishment of models for cancer prevention studies, (ii) elucidation of signal transduction processes in the colon, (iii) investigation of the role of inflammation as a critical factor in colon cancer development, and its modulation by diet, and (iv) development of a novel non-invasive Systems Biology-based methodology to monitor diet/host gene/microbiome expression profiles and its application to translational research. 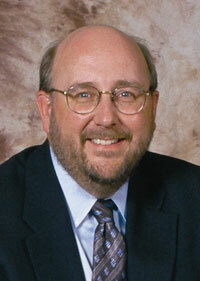 Dr. Clinton is a Professor of Internal Medicine in the Division of Medical Oncology at The Ohio State University. He trained for his M.D. and Ph.D. at the University of Illinois in Urban-Champaign followed by Internal Medicine internship and residency at the University of Chicago. He proceeded with Medical Oncology training at the Dana-Farber Cancer Institute and Harvard Medical School where he remained on faculty for nearly a decade. Dr. Clinton joined The Ohio State University in 1998. He is Director of the Prostate and Genitourinary Oncology Program at The James Cancer Hospital and Solove Research Institute. Under his leadership, the clinical program is a national leader in accrual to therapeutic and prevention clinical trials. The program provides integrated multidisciplinary oncology care to patients throughout central Ohio and for national and global referrals. Dr. Clinton also serves as the Program Leader for Molecular Carcinogenesis and Chemoprevention at The Ohio State University Comprehensive Cancer Center. The focus of this program, involving over 40 faculty, is to elucidate the fundamental mechanisms underlying the development of cancer and to define prevention strategies. A major strength of the program is the "crops to the clinic" research agenda that integrates the efforts of scientists in agriculture, food science, and nutrition with clinical investigators to conduct novel human clinical trials at The James. Dr. Clinton is very active in bionutrition research at OSU. He serves as Associate Director for the campus wide Center for Advanced Functional Foods Research (CAFFRE) and the OSU Food Innovation Center, programs dedicated to the development of novel food products and their evaluation for promoting health outcomes and improving global nutrition. He provides service to many national organizations including the American Association for Cancer Research, the American Society of Nutrition, the American Society for Clinical Oncology, and the American Institute for Cancer Research. He recently served the National Academy of Sciences and Institute of Medicine as a member of the Dietary Reference Intake Committee for Vitamin D and Calcium. Dr. Clinton's research activities focus on many aspects of diet, nutrition, and cancer; primarily focusing upon prostate and other genitourinary cancers. Their efforts include metabolic epidemiology, clinical intervention trials, as well as basic laboratory studies of cellular and molecular biology resulting in over 150 scientific publications, reviews, and book chapters. Karen Collins is a registered dietitian who promotes healthy eating as a syndicated nutrition news columnist, speaker and consultant. 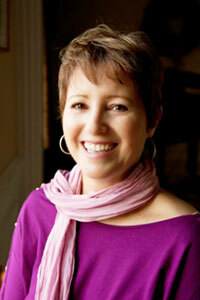 Karen serves as Nutrition Advisor to the American Institute for Cancer Research (AICR). For more than eighteen years, she wrote two weekly columns, Nutrition Notes and Nutrition Wise, now re-named Health Talk, carried on various websites and in newspapers nationwide. Karen participates in videos and presents seminars for the general public and cancer survivors, and speaks regularly to a variety of health professional audiences. Based in western New York, Karen also conducted a long-time private practice in nutrition counseling, working with individuals and groups to develop realistic strategies for achieving health goals. This work dealt extensively with weight and eating disorder issues, and also addressed a wide range of medical problems, such as diabetes and heart health. 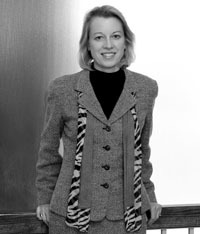 A member of the American Dietetic Association, and its Sports, Cardiovascular and Wellness Nutrition (SCAN); Oncology Nutrition; and Nutrition Entrepreneurs dietetic practice groups, Karen holds a BS degree in dietetics from Purdue University and an MS degree in nutrition from Cornell University. Dr. Cramer received a PhD in biology (reproductive endocrinology) from the University of California, Santa Cruz and did postdoctoral training in Endocrinology and Urology at Stanford University School of Medicine. He was on the faculty in the Department of Cancer Biology at Wake Forest University School of Medicine for nearly 15 years and recently joined the faculty in the Department of Pharmacology at University of Colorado, Denver as Professor. Dr. Cramer's research focuses on the role of the stem cell in prostate cancer prevention and treatment. Dr. Cramer has studied the role of vitamin D in prostate cancer since the early 90's while a postdoctoral fellow at Stanford. His work has demonstrated the antiproliferative effects of 25-hydroxyvitamin D on human and mouse prostate cells and has demonstrated the synergistic effects of vitamin D and the soy isoflavanoid genistein on prostate cancer cell growth. He has recently developed novel models of adult prostate stem cells, which have become the focus of his work to understand the role of dietary compounds in prevention of prostate cancer. This work has shown that vitamin D differentiates the normal stem cell and cancer stem cells away from a stem cell phenotype. Novel signaling pathways are being explored for their essential roles in vitamin D mediated differentiation, growth suppression and induction of senescence. Dr. DiGiovanni received his PhD from the University of Washington in Seattle, Washington under the mentoring of Drs. Mont Juchau and Thomas Slaga and did his postdoctoral work with Dr. Roswell Boutwell at the McArdle Laboratory for Cancer Research, University of Wisconsin, Madison, Wisconsin. Dr. DiGiovanni was recently recruited as Professor and Coulter R. Sublett Chair in the Division of Pharmacology and Toxicology, College of Pharmacy with a joint appointment in the Department of Nutritional Sciences in the College of Natural Sciences at the University of Texas at Austin. Prior to joining UT Austin, he was the Director of the MD Anderson Cancer Center, Science Park-Research Division from 1997-2009 and also Director of the NIEHS funded Center for Research on Environmental Disease for 15 years while at the MD Anderson Cancer Center. Dr DiGiovanni has a long-standing, internationally recognized research program in understanding mechanisms of multistage epithelial carcinogenesis and in identifying targets and mechanisms for cancer prevention. Research interests in his laboratory currently focus in several areas. First, ongoing studies are focused on identifying critical targets and mechanisms involved in the initiation and promotion stages of chemical as well as UV skin carcinogenesis. A recent focus of these studies is to understand how changes in growth factor signaling pathways impact the behavior of the target cells (i.e., tissue specific stem cell/progenitor cells) during tumor formation. In addition, a major project deals with identifying genes involved in susceptibility to skin tumor promotion by the phorbol ester, TPA. Another major project deals with understanding the role of dietary energy balance and it's impact on tumor development. This last research area involves studies in relation to both skin and prostate cancers. All of this research is aimed at identifying novel targets and mechanisms for prevention of epithelial cancers. Dr. DiGiovanni's CV lists over 220 primary research papers. He has had a continuous history of multiple NIH grants to support his research program, and currently has five active cancer-focused NIH R01 grants. He is also Editor-in-Chief for the journal Molecular Carcinogenesis and has served in this capacity for more than 10 years. He has served on numerous national scientific advisory boards and NIH grant review panels and has received a variety of awards. In 2006 he received the Faculty Achievement Award in Cancer Prevention from the University of Texas MD Anderson Cancer Center. Dr. Drummond-Barbosa received her Bachelor of Science degree in Biochemistry and Immunology from the Universidade Federal de Minas Gerais in Belo Horizonte in 1991. She next moved to New Haven, Connecticut, to join the Genetics graduate program at Yale University. She did her thesis research with Dr. Daniel DiMaio on the interaction between the bovine papillomavirus E5 protein and the platelet-derived growth factor receptor, obtaining her Ph.D. degree in 1995. 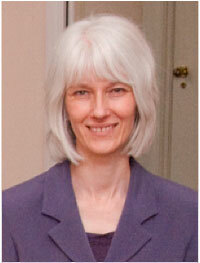 In 1996, Dr. Drummond-Barbosa joined Dr. Allan Spradling's laboratory for her postdoctoral training. Her discovery that stem cells and their descendents respond to diet, and that the insulin pathway is a major mediator of this response in the Drosophila ovary, laid the foundation for the establishment of her independent research program. 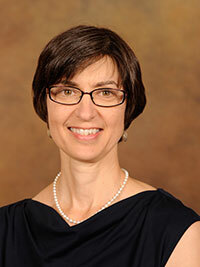 In 2002, Dr. Drummond-Barbosa joined the Department of Cell and Developmental Biology at the Vanderbilt University Medical Center as an Assistant Professor. Her laboratory continued to play a pioneering role in elucidating how germline stem cells are regulated by diet and insulin signals, and also initiated a new line of research on the control of meiotic maturation in Drosophila. More recently, Dr. Drummond-Barbosa accepted a faculty position as Associate Professor in the Department of Biochemistry and Molecular Biology at the Johns Hopkins School of Public Health, relocating her laboratory in July 2009. Dr. Eckert received his bachelor's degree from the University of Wisconsin, and PhD from the University of Illinois, Urbana. He completed post-doctoral training in the Department of Cell Biology at the Massachusetts Institute of Technology, and in the Department of Physiology and Biophysics at Harvard Medical School. He joined the faculty of Case Reserve University School of Medicine in 1986 as an Assistant Professor of Physiology and Biophysics, Dermatology, Reproductive Biology, Oncology and Biochemistry. He was promoted as tenured Associate Professor in 1992 and Professor in 1996. 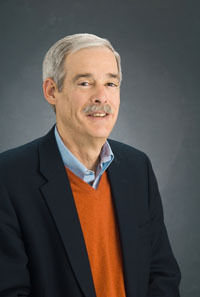 Dr. Eckert joined the University of Maryland School of Medicine as Professor and Chair of Biochemistry and Molecular Biology in November of 2006. Dr. Eckert's research focuses on understanding how normal surface epithelial cells function to protect people from illnesses and how those cells are altered during disease states, including skin cancer. Specific interests include mechanisms that regulate cell survival, differentiation and transformation, genetic and epigenetic mechanisms that regulate gene expression during differentiation, the use of epidermis-derived somatic stem cells for therapy, and the role of nutritional agents in cancer prevention. He has published more than 160 journal articles and reviews, and his trainees have presented over 130 meeting abstracts. He serves as an editorial board member and reviewer for scientific journals including the Journal of Biological Chemistry and the Journal of Investigative Dermatology. 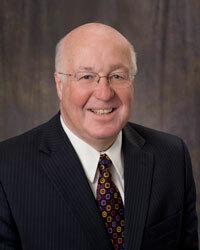 He is a University of Wisconsin Distinguished Alumni Achievement Award recipient, an elected member of the Board of the Society for Investigative Dermatology, a standing member of the review panel of the American Institute for Cancer Research, and has served on the Board of Scientific Counselors of the NIAMS and on numerous NIH study sections. Dr. Eckert holds two patents from the United States Patent Office, and has been continuously funded by the National Institutes of Health as a principal investigator since 1989. He is currently principal investigator on multiple RO1 grants from the National Institutes of Health and 2 grants from the Maryland Stem Cell Research Fund. He has also been supported by the Department of the Navy, the American Cancer Society, the Dermatology Foundation, and the Congressionally Directed Medical Research Program Breast Cancer Research Program. Dr. Erdman is Emeritus Professor of Food Science and Human Nutrition, Professor of Internal Medicine and Professor of Nutrition in the Division of Nutritional Sciences at the University of Illinois at Urbana. Dr. Erdman's training and expertise encompass the nutritional and physiological biochemistry of man and animals. He has authored over 170 original research articles on these subjects and has over 300 total publications including other articles and chapters. He is a member of a variety of professional organizations including the American Society for Nutrition (ASN), the Institute of Food Technologists (IFT), and the American Heart Association (AHA). He is past President of the American Society for Nutritional Sciences (now ASN), has been elected Fellow for ASN, AHA and IFT. He has been extensively involved with the Food and Nutrition Board (FNB) of the Institute of Medicine, National Academy of Sciences (NAS), where he served on the FNB for 9 years, 6 as Vice Chair. Among other committees of the FNB, he served as Chair of the Standing Committee on the Scientific Evaluation of Dietary Reference Intakes (DRIs) and is currently Chair of the Committee on Military Nutrition Research. Recently this committee published the report "Nutrition and Traumatic Brain Injury". For his extensive contributions to the NAS, he was named as Lifetime National Associate of the NAS in 2001 and was elected as a Member of the Institute of Medicine, NAS in 2003. Other honors include: receipt of the Samuel Cate Prescott Award for Research and the William Cruess Award for Teaching from IFT: the Borden Award from ASN; being named as an Original Member in Agricultural Science by ISI as an Highly Cited Researcher (top 0.05%); and several University of Illinois Excellent and Outstanding Teaching awards. He is a member of the Board of Trustees of ILSI- NA. Dr. Erdman has is past Executive Director of the Mars Science Advisory Council and is currently Executive Director of the Wrigley Science Institute. 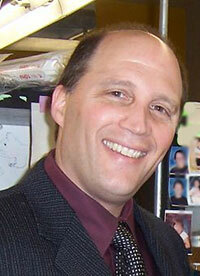 Dr Erdman received his B.S., M.S., M.Ph., and Ph.D. in Food Science from Rutgers University. Dr. Fleet is a Professor in the Department of Foods and Nutrition and the Director of the Interdepartmental Nutrition Program for graduate training in nutrition at Purdue University. He holds a BS and Ph.D. from Cornell University and has previously held faculty appointments at Tufts University and the University of North Carolina at Greensboro. Dr. Fleet's research is focused on the molecular and physiological functions of vitamin D as they pertain to the control of calcium metabolism and the prevention of cancer. He uses the tools of molecular biology, genomics, and genetics to address questions relevant to human health and disease in cell and animal models. 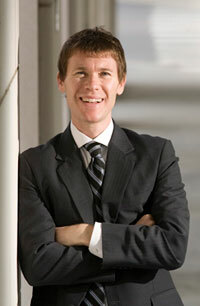 His research is currently funded by three grants from the NIH and a grant from the AICR. He has served as a contributing editor to Nutrition Reviews, on the editorial board of The Journal of Nutrition, and on the INMP and CDP study sections at NIH. He has been an organizer of FASEB Summer Conferences, on the Program Committee for International Workshops on Vitamin D, and he has been an invited to speak on his work across the globe. In 2001, he was the recipient of the Mead Johnson Award from the American Society for Nutrition and in 2004 he was honored as a "University Faculty Scholar" by Purdue University. Dr. Friedenreich is a cancer epidemiologist with the Department of Population Health Research of Alberta Health Services and an Adjunct Professor in the Faculties of Medicine and Kinesiology of the University of Calgary (U of C). 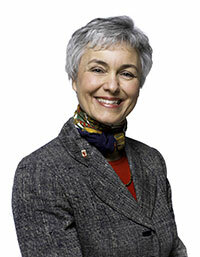 She holds a Health Senior Scholar career award from the Alberta Heritage Foundation for Medical Research. Dr. Friedenreich completed her doctorate in Epidemiology at the University of Toronto in 1990 and postdoctoral work at the International Agency for Research on Cancer (IARC) in Lyon, France and at the U of C between 1990 to1994. 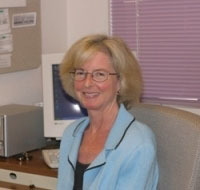 She has been a Research Scientist at AHS since 1995 and was the Leader for Population Health Research from 2001-2011. In 2004-5, Dr. Friedenreich was the Visiting Scientist at the IARC. Dr Friedenreich's research is focused on understanding the role of physical activity in reducing the risk of developing cancer and in improving quality of life and survival after cancer diagnosis. Dr. Giovannucci is a Professor in the Departments of Nutrition and Epidemiology at the Harvard School of Public Health, and an Associate Professor of Medicine at the Harvard Medical School/Brigham and Women's Hospital. He received a medical degree from the University of Pittsburgh School of Medicine in 1984, and did his residency in anatomic pathology at the University of Connecticut. He received a doctoral degree in epidemiology from the Harvard School of Public Health in 1992. His research focuses on how nutritional, environmental and lifestyle factors relate to various malignancies, especially those of the prostate and colorectum. A specific area of interest is the etiologic mechanisms underlying the relation between these modifiable factors and cancer risk. His work has included the study of how nutrition and other lifestyle factors impact on cancer risk by influencing levels of insulin, insulin-like growth factors, vitamin D metabolites, and steroid hormones. Another area of interest is how nutrients may interact with genetic susceptibilities in determining an individual's risk. Recent publications include investigations of the role of vitamin D levels in myocardial infarction and in the survival of patients with colorectal cancer. Dr. Green is a professor of Pathology and Medicine at the University of California, Davis where he served as chair of the Department of Medical Pathology and Laboratory Medicine from 1996 to 2009. After receiving his medical degree at the University of the Witwatersrand in Johannesburg, South Africa, Dr. Green also received a dissertational doctorate (Ph.D.) from the same university. He was a Wellcome Trust Research Fellow at St. Bartholomew's Hospital in London and has held faculty positions at the South African Institute for Medical Research, the Scripps Clinic and Research Foundation in La Jolla, California, and the Cleveland Clinic Foundation, as well as teaching appointments at the University of California at San Diego, the Medical College of Ohio State University and Case Western Reserve University School of Medicine. He is a fellow of the Royal College of Pathologists, the American Society of Clinical Pathologists and the College of American Pathologists. 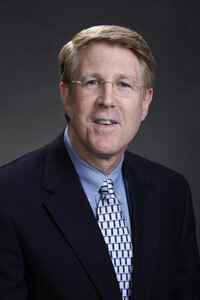 Dr. Green has authored over 200 publications including 130 original scientific papers and has served on a number of national and international societal committees, editorial boards, and advisory groups including the American Society of Hematology's Scientific Advisory Committee and the Committee on Clinical Laboratory Hematology of ASH. He served on a special committee of the Institute of Medicine of the National Academy of Sciences to define dietary reference intakes for B vitamins. He has also served as an advisor and expert consultant to the Food & Drug Administration, the Centers for Disease Control and the National Health and Nutrition Examination Survey and as a consultant to the World Health Organization. Dr. Green's research activities are focused mainly in the field of anemias and in particular vitamin B12, folate and iron metabolism. He has studied the role of B vitamin deficiencies and genetic defects in B vitamin metabolism and how they relate to vascular disease, cancer and other degenerative disorders. 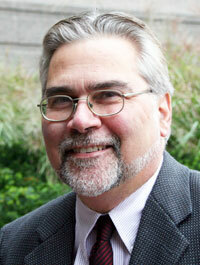 His research has also focused on nutrition in underserved areas and developing countries. For the past 20 years, Dr. Clarke has studied the role of timing of diet and hormones during key developmental periods; i.e., in utero, puberty and pregnancy, in determining the susceptibility to develop breast cancer. These studies include investigating the effects on mammary cancer risk of an exposure to n-3 and n-6 polyunsaturated fatty acids, obesity-inducing diet, dietary fiber, vitamin D and genistein. 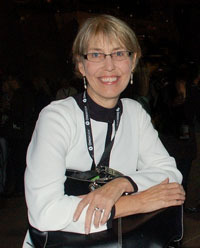 Most of these studies have been done using pre-clinical animal models, but she also has been investigating whether maternal environment during pregnancy affects mother's breast cancer risk, and breast or endometrial cancer risk among daughters, with epidemiologists at Harvard University in Boston, Karolinska Institutet in Sweden, and University of Tampere in Finland. In addition, Dr. Hilakivi-Clarke is involved in an on-going dietary intervention study in Finland that studies a cohort of 1,000 Finnish women, many of whom were subjected to dietary and physical activity intervention during pregnancy to prevent the development of gestational diabetes and high birth weight. More recently, she has started to investigate the ability of vitamin D to prevent endometrial and breast cancer in obese individuals. These studies are all pre-clinical. The mechanisms by which dietary exposures at different periods during the life-time affect breast or endometrial cancer risk are also investigated in her laboratory, and these potential mechanisms include permanent changes in gene and miRNA expression, and the role DNA methylation plays in causing and maintaining these changes. Dr. Hilakivi-Clarke received her Bachelor of Arts in Biology and Experimental Psychology and her doctorate in Physiology and Experimental Biology from the University of Helsinki. Professor Hull is a Gastroenterologist and Clinician Scientist who works at the Leeds Institute of Molecular Medicine, UK. He trained at the Universities of Cambridge, Oxford and Nottingham. His research interests are focused on understanding colorectal carcinogenesis linked to colorectal cancer prevention strategies including chemoprevention and lifestyle modification. He has current major interests in the use of omega-3 PUFAs for prevention and treatment of colorectal cancer and also the effect of weight loss on obesity-driven colorectal cancer risk. Dr. Hursting is Professor and Chair of the Department of Nutritional Sciences at the University of Texas at Austin and Professor of Molecular Carcinogenesis at the UT-MD Anderson Cancer Center. He earned his PhD in nutritional biochemistry and MPH in nutritional epidemiology from the University of North Carolina, and he completed postdoctoral training in molecular carcinogenesis and cancer prevention at the NCI. Prior to joining the University of Texas in 2005, Dr. Hursting was Deputy Director of the NCI's Office of Preventive Oncology and Chief of the NCI's Nutrition and Molecular Carcinogenesis Laboratory Section. His research interests center on diet-gene interactions relevant to cancer prevention, particularly the molecular and metabolic mechanisms underlying energy balance-cancer associations. Primarily using transgenic mouse models of breast, pancreatic and other cancers, he is currently focusing on the molecular and metabolic changes occurring in response to lifestyle-based (dietary and physical activity), genetic, or pharmacologic (ie, metformin, rapamycin, Lovaza, Brevail) manipulation of energy metabolism and cell signaling pathways, with emphasis on the IGF-1/Akt/mTOR, NF-kB, and Wnt signaling pathways. He also has expertise in assessing diet-related serum and tissue biomarkers, including hormones/growth factors, cytokines and chemokines, and microRNA's in mouse and human samples. 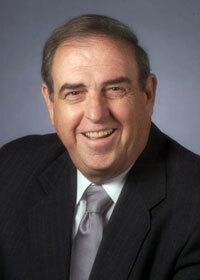 Dr. Jones has over 35 years of experience in teaching and research in academia and industry. He was trained in the UK (Liverpool) and in USA (Wisconsin) and was a Professor at the University of Toronto and Scientist at the Hospital for Sick Children before moving to Queen's University in 1984, where he was Head of Biochemistry (2002-2011). His research interests focus on the biochemistry and pharmacology of vitamins D & A; and their clinical applications. 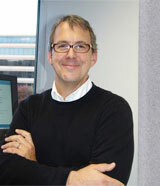 Dr. Jones is a pioneer in Tandem Liquid Chromatography-Mass Spectrometry (LC-MS/MS) analysis of small molecules. He has been continuously funded by the Canadian Institutes for Health Research (CIHR) for the past three decades. With over 190 career publications, his work has defined the mechanisms by which vitamins A & D are broken down in the body by cytochrome P450-containing enzymes. Dr Jones was a co-founder and Scientific Advisory Board member of Cytochroma Inc, a Markham based company developing drugs for renal disease; and he also serves on the SAB of Receptor Therapeutics, a company focused on the potential use of vitamin D analogs in the treatment of specific cancers. Dr. Jones is a member of the advisory board of DEQAS, the global external quality assurance scheme that monitors vitamin D assays and analysts. Most recently (2009-2010), he was involved in the US/Canada-sponsored IOM committee setting nutritional guidelines for vitamin D and calcium. Dr. Jones is an Associate Professor in the Department of Radiation Oncology and Scientific Director of Cancer Survivorship at Duke University Medical Center. Dr. Jones completed his Bachelor's of Science (Hons) in Sport and Exercise Science at the University of Brighton (Eastbourne, East Sussex, England). In 1996, Dr. Jones moved to Canada where he completed his Masters of Science in Kinesiology at Lakehead University (Thunder Bay, Ontario, Canada) and his PhD in Physical Education (Exercise Oncology) at the University of Alberta (Edmonton, Alberta, Canada). Dr. Jones completed his Postdoctoral Fellowship in Exercise Oncology also at the University of Alberta. Dr. Jones was recruited to Duke Medicine in January 2005. Dr. Jones's research program focuses on: (1) evaluating the cardiovascular / functional impact of cancer therapy, and (2) investigating the efficacy of interventions, primarily exercise training, on cardiovascular and oncologic outcomes in persons diagnosed with cancer. He has published numerous scientific articles and book chapters. 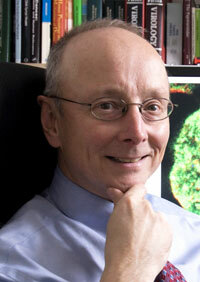 He is also a member of the International Editorial Board for Lancet Oncology. His research program is supported by the National Institutes of Health, American Cancer Society, U.S. Department of Defense Breast Cancer Research Program, Lance Armstrong Foundation and the Tug McGraw Foundation. Dr. Kim joined the Division of Cancer Prevention at the National Cancer Institute in 1998 as a Program Director who oversees and monitors NCI grants in the area of Nutrition and Cancer. 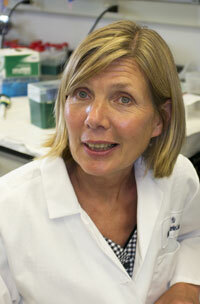 She also serves as an expert in nutrition, molecular biology, and genomics as they relate to cancer prevention. Dr. Kim assists with research initiatives that will advance nutritional science and lead to human health benefits. She has been actively involved with the preparation and processing of concepts aimed at creation of Program Announcement (PA) and Requests for Applications (RFAs). Dr. Kim maintains and expands links with other federal agencies such as USDA/FDA or professional groups involved with nutrition and cancer prevention. 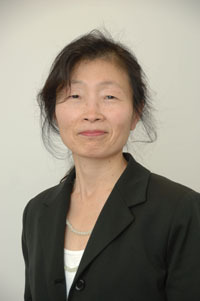 To fulfill this activity, she participates in the working groups/teams, publishes manuscripts that deal with emerging issues, presents ideas and approaches at national or international meetings, and/or serves as mentors for those seeking more information about the relationship between bioactive food components and cancer prevention. Prior to this position, she worked on gene discoveries including MEN1 and CAIR1 by positional cloning and cDNA library screening respectively as a senior staff scientist at the National Institutes of Health. Dr. Kim received her Ph.D. degree in Nutritional Biochemistry from Cornell University and a three year post-doctoral training in muscle protein purification and characterization at the University of Pennsylvania. Her current research focuses on molecular mechanisms by which nutrients modulate cancer processes and the identification and the characterization of genetic patterns that can be influenced by nutrients. Rachael received her BS in dietetics from Cornell University, completed her dietetic internship at the National Institutes of Health, and completed her MPH in Maternal and Child Health from the George Washington University. 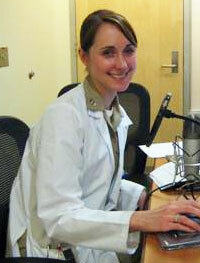 Rachael is a Clinical Research Dietitian for surgical oncology patients at the National Institutes of Health (NIH). Rachael also serves as Lieutenant Commander in the United States Public Health Service (PHS). In addition to her clinical responsibilities, Rachael is a preceptor for dietetic interns, chairs the Nutrition Department patient education committee, serves on multiple NIH and PHS committees, and provides lectures for NCI physicians, clinical center nurses, dietetic interns, as well as outside organizations. Rachael has assisted with the development of online learning modules for nursing staff, the development of treatment algorithms for symptom management during cancer treatment, among other projects. Rachael has publications in peer-reviewed Oncology Journals and serves as a peer reviewer for the Oncology Nutrition Connection, a publication of the Oncology Dietetics Practice Group. Rachael is a member of A.S.P.E.N. and the American Dietetic Association, and she has served on the board for the District of Columbia Metropolitan Area Dietetic Association. 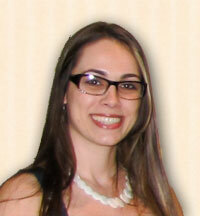 Rachael's special interests include maternal and child health, oncology, nutrition support, and dietetics education. Dr. Manson is Chief of the Division of Preventive Medicine, as well as Co-Director of the Connors Center for Women's Health and Gender Biology, Brigham and Women's Hospital, Harvard Medical School. 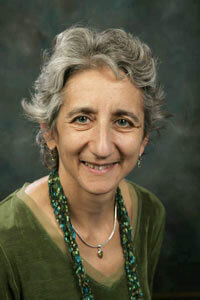 She is Professor of Medicine and the Michael and Lee Bell Professor of Women's Health at Harvard Medical School. The focus of Dr. Manson's research has been women's health, randomized clinical trials in cardiovascular disease and cancer prevention, and translational research. Her primary interests include the role of estrogen and hormonal factors, moderate vs vigorous physical activity, nutritional interventions, and other lifestyle modifications as determinants of cardiovascular disease and cancer in women. 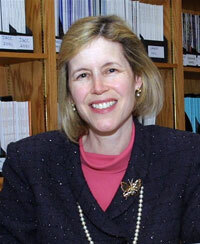 She is Principal Investigator of several grants from the National Institutes of Health, including the VITamin D and OmegA-3 TriaL (VITAL), the Women's Health Initiative Vanguard Clinical Center at Brigham and Women's Hospital in Boston, the Women's Antioxidant and Folic Acid Trial, and Biochemical and Genetic Risk Factors for CVD in Women, among others. She is also PI of the Boston site for the KEEPS trial. Dr. Manson is a member of many professional societies and serves on the editorial/medical advisory boards of several medical journals. She has received numerous awards and honors, including the "Woman in Science" Award from the American Medical Women's Association, election to membership in the Association of American Physicians, the Harvard College Women's Professional Achievement Award, fellowship in the American Association for the Advancement of Science (AAAS), the North American Menopause Society's Postmenopausal Cardiovascular Health Research Award, the International Menopause Society's Henry Burger Research Prize, and the American Heart Association's Population Research Prize. She served on the Executive Committee of the NHLBI's Strategic Planning Committee, as well as on several Institute of Medicine committees and workshops, and grant study sections. She has published more than 700 articles in the medical literature, has served as editor-in-chief of several textbooks, as well as authored several health-related books for lay audiences. She is one of the top 10 most highly cited authors in the world in the field of clinical medicine. Dr. Manson was one of the physicians featured in the National Library of Medicine's exhibition, "History of American Women Physicians", in Bethesda, MD. She is currently President of the North American Menopause Society. Dr. Matthews is physical activity epidemiologist and Investigator in the Nutritional Epidemiology Branch in NCI's Division of Cancer Epidemiology and Genetics. He received his Bachelors degree in Exercise Science from the University of Massachusetts, Amherst, a Masters degree in Exercise Science from the University of South Carolina, Columbia, and a Doctoral degree in Epidemiology from the University of Massachusetts, Amherst. Dr. Matthews' research is designed to inform efforts to prevent and control cancer through conduct of etiologic and methodological studies of physical activity behaviors in the population. These behaviors reflect the continuum of human movement and range from purely sedentary behaviors (e.g., sitting) to active behaviors that include light to vigorous intensity activities. Methodological research in Dr. Matthews' group is focused on the development of better tools for the assessment of active and sedentary behaviors in population-based studies of malignant disease. Work here includes description of the measurement error structure of existing self-report instruments, use of the next generation of physical activity monitors, and the development and testing of new self-report instruments (e.g. ,web-based 24-hour recall of active and sedentary behaviors (ACT24)). His current etiologic work seeks to refine our understanding of the type, intensity, and amount of activity-related behaviors that may confer risk (sitting) or protection (activity) for cancers that have been convincingly linked to physical activity. In addition, his work also endeavors to add to the evidence-base supporting associations between physical activity and other cancers, the potential for physical activity to ameliorate cancer risk associated with obesity, and to better understand the biological mechanisms that underlie these associations. Dr. Mayne is Professor of Epidemiology with tenure and Division Head, Chronic Disease Epidemiology at the Yale School of Public Health. Dr. Mayne is also Associate Director of the Yale Comprehensive Cancer Center, being responsible for the Population Sciences Division. She also directs a pre-doctoral training program at Yale in Partnership with the U.S. National Cancer Institute, to train students in modern methodologies for evaluating lifestyle determinants of human cancer risk, with an emphasis on nutritional, environmental, and occupational determinants, including their interactions with genetic factors. Dr. Mayne earned a Ph.D. in nutritional biochemistry from Cornell University, with minors in biochemistry and toxicology, and a B.A. in chemistry from the University of Colorado. Dr. Mayne is a fellow of the American College of Epidemiology, and of the Executive Leadership in Academic Medicine (ELAM) Program for Women. She has authored or co authored over 150 articles/book chapters. She also has served on several editorial boards including the Journal of Nutrition, Cancer Epidemiology, Biomarkers and Prevention, and Nature Reviews Clinical Oncology. Dr. Mayne has served on several National Academy of Sciences committees, including most recently the Committee that established Dietary Reference Intakes for Vitamin D and calcium. She is currently on the Food and Nutrition Board of the National Academy of Sciences, and recently completed a 5-year term on the Board of Scientific Counselors for the U.S. National Cancer Institute. Her research emphasizes lifestyle determinants of human cancer risk, with an emphasis on nutritional factors, including biomarkers of nutritional status. 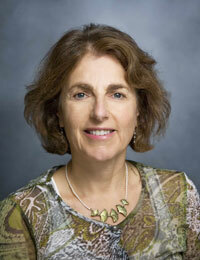 Dr. Milner is Chief of the Nutritional Science Research Group, Division of Cancer Prevention, National Cancer Institute. From 1989 to 2000, he was Head of and a Professor in the Department of Nutrition at The Pennsylvania State University, where he also served as Director of the Graduate Program in Nutrition. Before joining Penn State, he was a faculty member for 13 years in the Food Science Department and in the Division of Nutritional Sciences at the University of Illinois-Urbana-Champaign. While at the University of Illinois he served as the Director of the Division of Nutritional Sciences and as an Assistant Director of the Agricultural Experiment Station. He is a fellow in the American Association for the Advancement of Science, a fellow of the Institute of Food Technologists, and an Honorary Member of the American Dietetic Association. 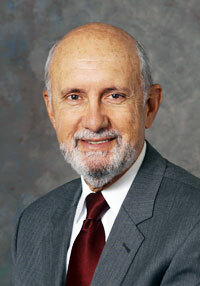 He is currently a member of the Global Board of Trustees for ILSI, liaison to the International Food Information Council (IFIC), member of the Danone Institute's International Functional Foods and Health Claims Knowledge Center Committee, a member of the Board for the McCormick Science Institute and a member of the Mushroom Research Board. He has published more than 200 book chapters, monographs and journal articles. He serves on the editorial boards for Cancer Prevention Research, Food and Nutrition Research, Nutrition and Cancer, Nutrfood, Journal of Nutritional Biochemistry, Journal of Alternative and Complementary Medicine, Journal of Ovarian Research, and The Journal of Medical Foods. In his current position he promotes research that deals with the physiological importance of dietary bioactive compounds as modifiers of cancer risk and tumor behavior. Dr. Owen is Head of the Behavioral Epidemiology Laboratory at the Baker IDI Heart and Diabetes Institute in Melbourne, a National Health and Medical Research Council of Australia Senior Principal Research Fellow and Professor of Health Behavior at the University of Queensland. His research relates to the primary prevention of cancer, diabetes and heart disease, and deals with the environmental, social and personal-level determinants of behavioral risk factors - primarily sedentary behaviors (television viewing, sitting in automobiles, desk- and screen-bound work) and lack of physical activity. Neville's program includes descriptive epidemiology studies, analyses of environmental determinants, developing behavior-specific ecological models, and trials of broad-reach interventions. He has published some 360 peer-reviewed papers and chapters, the widely-cited book Physical Activity and Behavioral Medicine (Sallis and Owen; Sage, 1999) and has been a contributing author to prevention-policy documents, including Moving On (England); Active for Life (New Zealand); Developing an Active Australia; Acting on Australia's Weight, and the WHO-IARC Handbook on Cancer Prevention, Volume 6: Weight Control and Physical Activity. Dr. Prado received her PhD in Nutrition and Metabolism from the Department of Agricultural, Food and Nutritional Science, University of Alberta, Canada. After finishing her PhD, Dr. Prado completed two years of postdoctoral training at the Department of Oncology, also at the University of Alberta. Her research showed for the first time the prevalence of sarcopenic obesity in cancer and its implication to treatment and survival. Dr. Prado is currently a postdoctoral fellow at the National Institutes of Diabetes and Digestive and Kidney Diseases, at the National Institutes of Health in Bethesda, Maryland. Her research program builds on the evaluation of nutrient intake, energy metabolism and skeletal muscle and adipose tissue dynamics during disease trajectories, and its effect on health. Dr. Prado is funded through the National Institutes of Health Visiting Fellowship Award and the Canadian Institutes of Health Research Fellowship Program. Dr. Rock is a professor in the Department of Family and Preventive Medicine and the Cancer Prevention and Control Program, University of California, San Diego, School of Medicine. Dr. Rock also leads the Nutrition Shared Resource of the Moores UCSD Comprehensive Cancer Center. She completed undergraduate training in nutrition and dietetics at Michigan State University, achieved a Master of Medical Science degree in clinical nutrition at Emory University, and was awarded a doctoral degree in nutritional sciences from the University of California, Los Angeles. Dr. Rock's primary research efforts are focused on the role of nutritional and dietary factors in the development and progression of cancer, particularly breast cancer, and healthy weight management in adults. Her research efforts address diet and weight management, and how diet, adiposity and physical activity affect biomarkers and risk and progression of cancer and other chronic diseases. Dr. Rock is presently involved in randomized trials funded by the National Institutes of Health (NIH) that are testing whether healthy weight control and modifications in diet and physical activity can alter biological processes, hormonal factors, body weight, progression of cancer, and cardiovascular disease risk factors. She has served on numerous NIH and USDA review panels and committees, and she currently serves on editorial boards for several peer-reviewed journals. Dr Rock is the author of more than 220 scientific papers and book chapters. Dr. Stevens is Chair of the Department of Nutrition at the University of North Carolina at Chapel Hill and the American Institute for Cancer Research Distinguished Professor. Dr. Stevens is an obesity epidemiologist with a large research program focusing on the causes, consequences, and prevention of obesity in different populations. She was the principal investigator of the Coordinating Center for the Trial of Activity in Adolescent Girls (TAAG); a large national trial that promoted physical activity in adolescents. She is currently principal investigator of the Coordinating Center for the Childhood Obesity Prevention and Treatment Research (COPTR) Consortium. COPTR studies will develop and test methods for preventing and treating overweight and obesity in young children and adolescents using multi-level approaches. She also examines associations between obesity weight change and cancer incidence and recurrence. Dr. Stevens has served as an obesity expert for the National Institutes of Health, the Centers for Disease Control, the Institute of Medicine and the World Health Organization. 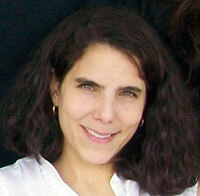 Amy F. Subar, PhD, MPH, RD, is a nutritionist at the National Cancer Institute (NCI). She received her BS in Dietetics at the State University College at Buffalo; an MPH at the University of Minnesota; and a PhD at Syracuse University. Her research interests include developing, designing, and carrying out nutrition research related to dietary methods, development of dietary instruments, measurement error, dietary surveillance, and nutritional epidemiology. Dr. Subar was a PI on the Observing Protein and Energy Nutrition (OPEN) study, the first recovery biomarker study of its kind to assess measurement error in self-reported dietary assessment instruments, and participated in the development and design of the NIH AARP Diet and Health Study. Dr. Subar has developed and evaluated food frequency questionnaires (FFQs) and recently led the development of the Automated Self-Administered 24-Hour Recall (ASA24), a freely available Web-based tool from the NCI that enables automated self-administered 24-hour recalls. ASA24 consists of a Respondent Web site used to collect recall data in English or Spanish and a Researcher Web site used to manage study logistics and obtain data analyses. 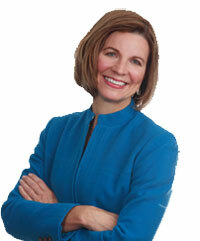 Dr. Subar is a member of the American Dietetic Association and the American Society for Nutrition. She has published more than 180 articles on dietary assessment, dietary surveillance, and nutritional epidemiology. Dr. Thompson is the Deputy Head of Science (Expert Reports and Communications) at World Cancer Research Fund International. She currently manages the Continuous Update Project and is involved in the communication of science related projects through our websites and as a spokesperson for WCRF International. She was the review coordinator and a member of the secretariat for the 2007 WCRF/AICR Expert Report Food, Nutrition, Physical Activity, and the Prevention of Cancer: a Global Perspective. Rachel obtained a BSc in Biochemistry from the University of Leeds and then went on to study Nutrition and Dietetics. She worked as a dietitian before moving into nutrition research. In 1990 she started work at the University of Southampton and completed her PhD on the effects of giving up smoking in 1993. She spent a total of 17 years at the University and was involved in teaching and research, and has published a number of papers. She has a Diploma in Systematic Reviews from the University of London and has been involved in a number of systematic reviews related to dietary methodologies and coronary heart disease. Cheryl Toner runs a consulting business in the Washington, DC area, providing communication and strategy services to organizations with a focus on food, health, and wellness. CDT Consulting, LLC delivers value to its clients in three arenas: discovery and decision-making, relationship-building, and outreach and influence. Cheryl has strong roots in food-related academic, government, and professional associations, as well as packaged goods, ingredient, retail, and agriculture industries. In addition to her consulting practice, Cheryl is currently serving as a fellow to the Nutritional Science Research Group, Division of Cancer Prevention, National Cancer Institute. In her role there, she is working with the team to explore ways to facilitate dialogue and research collaboration between NIH and the food-related industries in order to improve public health. She is also actively involved in the American Dietetic Association, currently serving as the Member Services Director for the Sports, Cardiovascular, and Wellness Nutrition practice group. 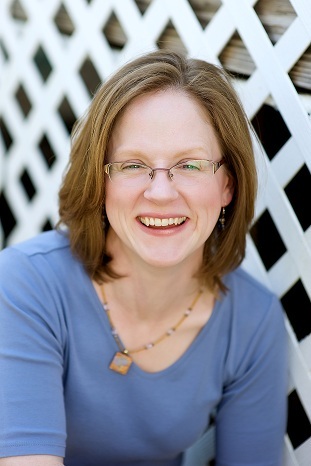 Prior to launching CDT Consulting, LLC in 2007, Cheryl worked for more than six years with the International Food Information Council (IFIC) in Washington, DC. She earned a B.S. in nutrition at the University of Houston, a M.S. in nutrition at Texas Woman's University, and completed her dietetic internship at the Houston Veteran's Affairs Medical Center in Houston, TX. Cheryl lives with her husband and two daughters in Fairfax, VA, where she is involved with Girl Scouts, the Parent Teacher Association, and her church's health ministry. Elaine Trujillo is a Nutritionist with the Nutritional Science Research Group, Division of Cancer Prevention, National Cancer Institute (NCI), National Institutes of Health (NIH), Bethesda, Maryland where she promotes the translation of information about bioactive food components as modifiers of cancer. She helps plan and direct nutritional programs such as the annual week-long program, Nutrition and Cancer Prevention Research Practicum at the NIH. This program is designed to identify research opportunities for dietitians, nutritionists, and clinicians. Ms. Trujillo also coordinates a lectureship program at NIH known as Stars in Nutrition and Cancer, which showcases nutrition among scientists and health care professionals and features extraordinary contributors or "Stars" in the field of nutrition and cancer research. Prior to joining the NCI, Ms. Trujillo was a Senior Clinical and Research Dietitian, Brigham and Women's Hospital, Harvard Medical School in Boston where she designed and organized clinical nutrition research. Ms. Trujillo holds a Bachelor of Science degree in Nutritional Science with a minor in Biology from the University of Delaware. At Texas Woman's University, she earned a Master of Science degree and completed a Dietetic Internship. Ms. Trujillo uses a variety of approaches to share her views and findings about nutrition with others interested in health, including co-authoring a nutrition-cookbook, Eating for Lower Cholesterol: A Balanced Approach to Heart Health with Recipes Everyone will Love, Da Capo Press, 2005 and a textbook, Nutritional Support in the Care of the Critically Ill, 2nd Edition, Wolf Rinke Associates, Inc., 2007, and various scientific journal articles, book chapters and abstracts. Dr. Wicha joined the University of Michigan Medical Center in 1980. He received his medical degree from Stanford University and trained in internal medicine at the University of Chicago and then went on to the National Cancer Institute, where he trained in clinical oncology and cancer biology. As founding director of the University of Michigan Comprehensive Cancer Center, serves as a distinguished professor of oncology, a breast cancer clinician and is nationally known for his breast oncology research. His lab was part of the team that first discovered stem cells in breast cancer, the first described in any human solid tumor. 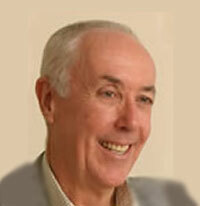 Professor Martin Wiseman is Medical and Scientific Adviser with World Cancer Research Fund International. He was project director for the 2007 WCRF/AICR expert report Food, Nutrition, Physical Activity, and the Prevention of Cancer: a Global Perspective and its companion report Policy and Action for Cancer Prevention. Food, Nutrition, and Physical Activity: a Global Perspective, published in February 2009. 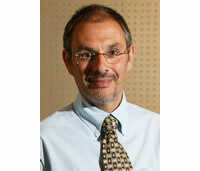 In addition, he is a visiting professor in human nutrition at Southampton University. From 1986 he was head of the Nutrition Unit at the Department of Health, where he had responsibility for nutrition science, including the work of the Committee on Medical Aspects of Food and Nutrition Policy; for nutrition surveys; and for advising on and implementing nutrition policy. He qualified from Guy's Hospital in London in 1975. He became a member of the Royal College of Physicians in 1977 and followed a traditional career path as a general physician until 1981 when he developed an interest in clinical research. He has published papers on diabetes and kidney function and the effects of nutrition on them. He moved to the Department of Health in 1986 but still retains an appointment within the NHS, where he continues with clinical activities in a diabetes clinic. He was Honorary External Relations Officer of the Nutrition Society from 2001 to 2006, and is Honorary Treasurer of the Association for Nutrition. He is Chair of the Management Team of the Intercollegiate Group on Nutrition of the Academy of Medical Royal Colleges, and is a Fellow of the Royal College of Physicians and of the Royal College of Pathologists.